MySQL plays a critical role in OpenStack. It serves as the host database supporting most components such as Nova, Glance, and Keystone and is the most mature guest database in Trove. Many OpenStack operators use Percona open source software including the MySQL drop-in compatible Percona Server and Galera-based Percona XtraDB Cluster as well as tools such as Percona XtraBackup and Percona Toolkit. We see a need in the community to understand how to improve MySQL performance in OpenStack. As a result, Percona, submitted 16 presentations for the Paris OpenStack Summit. 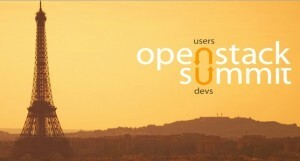 Paris OpenStack Summit presentations are chosen by OpenStack member voting. Please vote for our talks by clicking the titles below that interest you. You must be an OpenStack Foundation member to vote. If you aren’t a member, sign up here – it’s free and only takes a minute. The deadline to vote is Wednesday, August 6, 2014! The Paris OpenStack Summit will offer developers, operators, and service providers with valuable insights into OpenStack. The Design Summit sessions will be filled with lively discussions driving OpenStack development including sessions defining the future of Trove, the DBaaS (database as a service) component near and dear to Percona’s heart. There will also be many valuable presentations in the main Paris OpenStack Summit conference about operating OpenStack, utilizing the latest features, complimentary software and services, and real world case studies. Thank you for your support. We’re looking forward to seeing many Percona software users at the Paris OpenStack Summit in November. Matt Griffin is the Director of Product Management for Percona.